Learn how to play this fruity-themed Slots game by NetEnt for some free re-spins & real money! 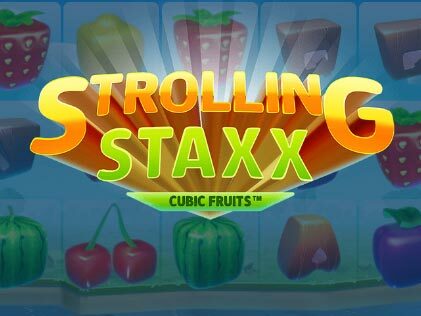 Employing classic watermelons, cherries and strawberries, Strolling Staxx Cubic Fruits is a 5 reel, 3 row and 10 payline Video Slot, which will take you down the nostalgia lane. Following the footsteps of its predecessors, Neon Staxx and Butterfly Staxx, Strolling Staxx implements the similar game mechanics but with an entirely different theme. While the former Slots machines were all about stylish 70s graphics and flamboyant butterflies, Strolling Staxx is more of a Classic Slot. Things have gone all cubic and juicy in this latest release of NetEnt, doing full justice to the title. 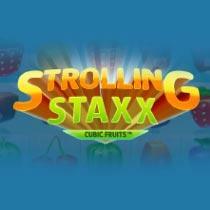 Strolling Staxx Cubic Fruits Slot is all about the Colossal Symbols and Re-Spins bonus feature. Triggering of Colossal Symbols aka the stack of symbols will set the reels in Re-Spin mode and that's where the real gaming adventure with higher winning potentials begins. As a salve for all the disheartened players out there who have not been able to activate the Re-Spin bonus round, Strolling Staxx exhibits a Bonus Bet & Extra Chance feature which costs you more but is totally worth it. Give this Slots machine a try for free in the demo mode below and play it for fun before risking out your hard-earned real money. How to Play Strolling Staxx Cubic Fruits Slots Game? Information Button – The 'i' button appearing on the extreme bottom-left corner of the Slot machine represents the Information tab. Upon clicking this button, you get an access to the game rules, the various bonus features, paytable and paylines. Level Button: The Level button ranges between 1 and 10. 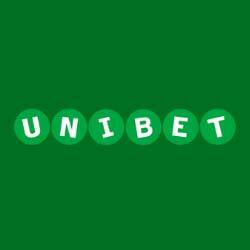 Use '+' and '-' to increase or decrease the bet level according to your pocket. Autoplay Button – This one will come in handy for all those players who are tired of spinning the reels manually. This button on the Slot machine will allow you to turn the reels anywhere between 10 an 1000 without any interruption. All you have to do is, select the number of spins by clicking on the button and sit back watching the action unfold. Spin Button – A square of two arrows is the Spin button and upon clicking this button, the reels will set in motion on a predetermined bet level and coin value. Max Bet Button: This button enables you to play the Slot game with the highest possible bet. Bonus Bet: This one is placed adjacent to the 'Max Bet' button and is a handy little gimmick, designed to award you with better opportunities for landing Colossal Symbols. Coin Value Button – This button determines the bet level you choose to spin your reels at. The denominations, ranging from 0.01 to 2.00 can be adjusted using +/- buttons. Coins – This section depicts the total balance you have left to play the game. All the wins are added to the Coins and can be viewed on the bottom right side of the slot game page. Wooden Signboard: The wooden signboard appearing above the information and bet buttons will tell you which symbol to look for during the game-play. Strolling Staxx Cubic Fruits Slot is a 5 reel, 3 row and 10 payline Video Slot. This Slot machine is playable with a minimum of 10p per spin and can go up to £200 per spin. Bet line win pays from the leftmost reel to the rightmost reel. As we mentioned before, things have gone all cubic in the Strolling Staxx Cubic Fruits Slot machine. Not just the fruits or other symbols spinning on the reels, but the trees in the backdrop are also cube-shaped. Thus, graphics of the game are fairly intrigue; and fruit symbols like cherries, watermelons, lemons, plums and strawberries on the reels perfectly brings out the fruity-theme of the game. The whispering of rushing water and orchestral harmonies in the background reminds of those addictive platform games like Donkey Kong and Super Mario. By and large, Strolling Staxx Cubic Fruits Slot sets the stage for fun and jolly game play. Standard Reel Symbols: The playing card symbols and fruit symbols are the Standard Reel Symbols. Fruit symbols like watermelons, strawberries, lemons, cherries and plums are high paying with watermelon being the most valuable symbol whereas the playing-card symbols like A, K, Q and J are the low-value symbols in the game. Wild Symbol: The 'W' symbol on the reels is the Wild Symbol and it can trigger anytime during the main game or re-spins round. This symbol is capable of substituting for all the other symbols in the game. Colossal Symbols: When symbols appear in one of the following three ways, occupying 9 reel positions at once, it is known as a Colossal Symbol: 1) As a single symbol; 2) in 2X3 form; 3) in 3X3 groups. Colossal Symbols can trigger fully or partially during the main game or re-spins round. Re-Spins Feature: Strolling Staxx Re-Spins feature is triggered when you land one or more reel fully covered with the same symbol, creating a stack of symbols. When the Re-Spin bonus round is activated, all stacks of symbols and connected symbols move one reel left on each spin until all stacks vanish from the leftmost reel. If during the Re-Spins bonus round, more stacks of symbols are landed on the reels then Strolling Staxx Re-Spins are re-activated. So hit the random Colossal Symbols and enjoy Re-Spin bonus rounds for some higher wins. Bonus Bet & Extra Chance: When you activate your Strolling Staxx Re-Spins using the 'Bonus Bet' button in the Slot machine instead of landing a 3X3 Colossal symbol, it is known as the Extra Chance. This bonus feature will change the bet level to 15 coins and during this bonus round, overlay 3X3 Colossal Symbols can fully or partially trigger on the reels. Strolling Staxx Cubic Fruits Slot game is powered by NetEnt which is one of the leading online gaming software providers in the industry. Are you a Slot enthusiast? If yes then you must have heard about some breathtaking Slots games like Starburst Slot, Gonzo's Quest Slot, Aloha! Cluster Pays Slot and Dead or Alive Slot! All these invincible machines were introduced by NetEnt. Renowned widely for the greatness of its background music, NetEnt will surely take you to some undiscovered world. Like the other Staxx trilogy, Strolling Staxx is a colourful Video Slot which will keep your eyes glued on the screen with its engrossing content. With Return to Player (RTP) equivalent to 95.95%, Strolling Staxx Cubic Fruits Slot is a medium volatility game. This NetEnt Slot entirely revolves around the Re-Spin bonus feature, thus players looking for more of Free Spins or No Deposit bonus rounds will be a little disappointed. But overall, a decent game to have some gala time! Give Viking Slot a try if you prefer more bonus features and volatile offerings. Please enter your review for the Strolling Staxx Cubic Fruits Slot .